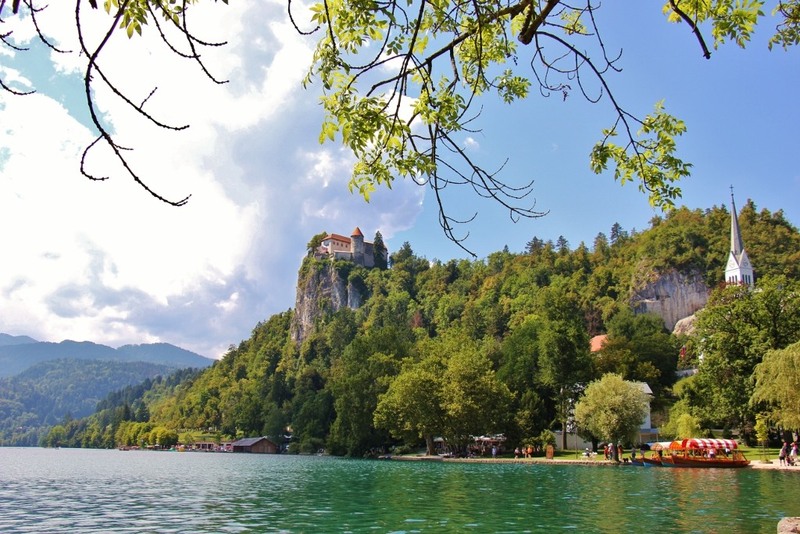 When we planned a day trip to visit Vintgar Gorge near Lake Bled, Slovenia, we anticipated a relaxing day spent by the water. How could walking along a wooden planked boardwalk through a naturally carved gorge filled with rushing translucent water not be peaceful? 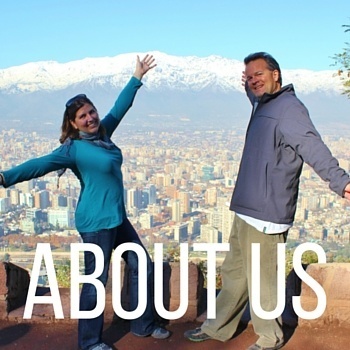 In two words: tourist crowds. 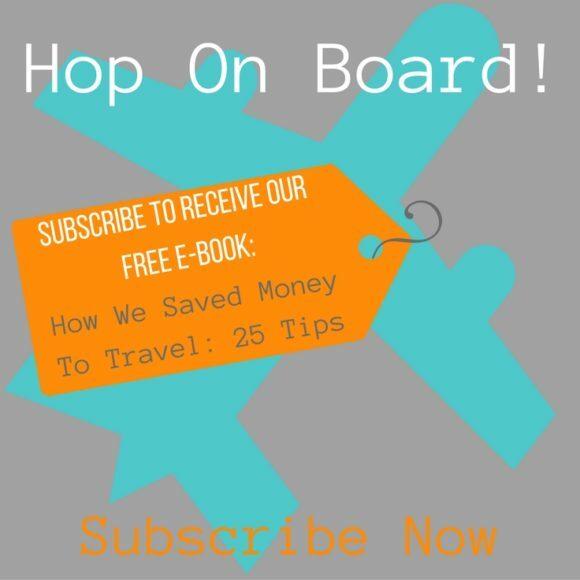 Shop for all your travel gear online with Amazon! When we decided to travel through Europe in the summer, we knew we would encounter an influx of summer visitors. However, it didn’t feel crowded on our one day in Munich, Germany. And Lake Bohinj, Slovenia wasn’t swarming with tourists, either. But as our bus approached Lake Bled, traffic crawled to a halt. The tourists weren’t coming; they were already there. Chalk it up to bad timing or perhaps just the end of our lucky crowd-free streak, but our arrival at Vintgar Gorge seemed to coincide with that of every other tourist in the region. As we stood in that ticket line that nearly stretched into the parking lot, we realized our time at Vintgar Gorge wasn’t going to be quite as serene as we had hoped. 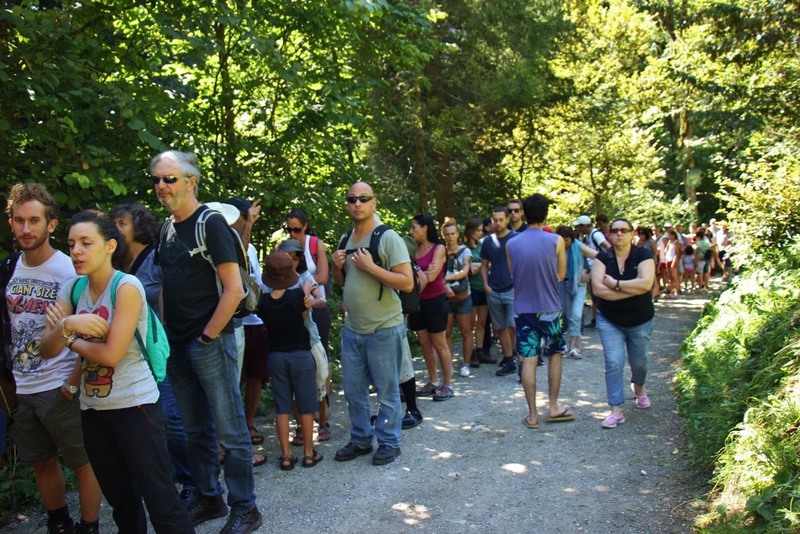 Instead, we were going to walk the mile-long gorge with 200 of our newest and closest friends, most of whom were incognizant of personal space and completely oblivious to anyone trying to snap a photo, well, unless they were the one trying to capture the scenery, of course. Despite being elbowed, bumped into and stepped on, with a heaping dose of patience we were able to appreciate the beauty of Vintgar Gorge. The deep gorge cuts between the Hom and Borst Hills and the Radovna River flows through it in a series of waterfalls, rapids and swirling, aqua-colored pools. 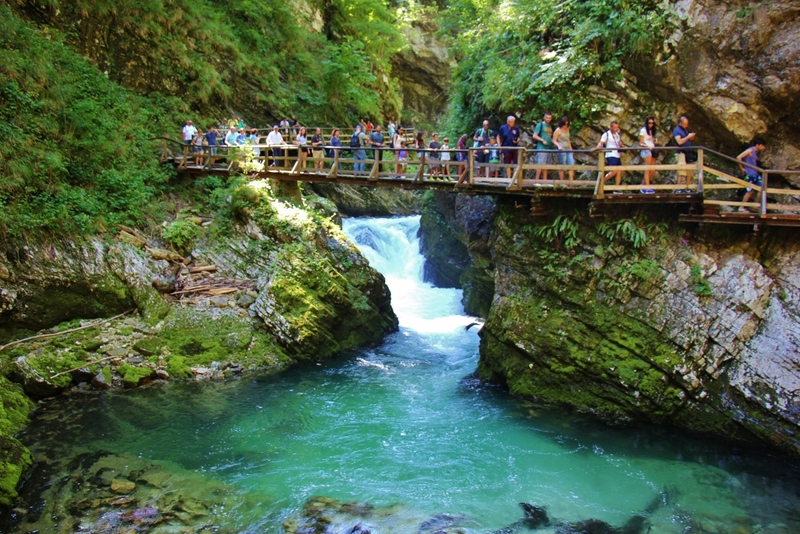 The first bridges and trails were constructed in Vintgar Gorge in 1893 to make it accessible to visitors. Many of the elevated paths cling to the side of rocky cliffs, leaving only room for a single-file shuffle. As we moved further into the gorge toward the end of the park and the 50-foot waterfall, Sum, the crowds thinned. That’s not to say they disappeared, but the congestion eased and we could walk and stop to take pictures or admire the surroundings without feeling overwhelmed by the hordes around us. When we arrived at the end of the gorge, in addition to finding a snack bar and toilets, we again found the masses. Squishing onto the picnic table benches and vying for the best spot for a family photo in front of the waterfall, the end of Vintgar Gorge was as crowded as the beginning. The path through Vintgar Gorge is technically an in-and-out trail; meaning to get back out we would have to fight our way through on-coming traffic like the fish in the river below swimming upstream. The idea of it was daunting and since we didn’t have a car parked at the entrance, but had instead taken the bus from Lake Bled to Vintgar Gorge, we opted to continue our hike, completing a loop back to the lake. Passing the snack shack on the right – the same way we got to get to the bottom of the waterfall – we turned right up the steps that led to a trail through the forest. We followed the arrows for Bled and Sv. 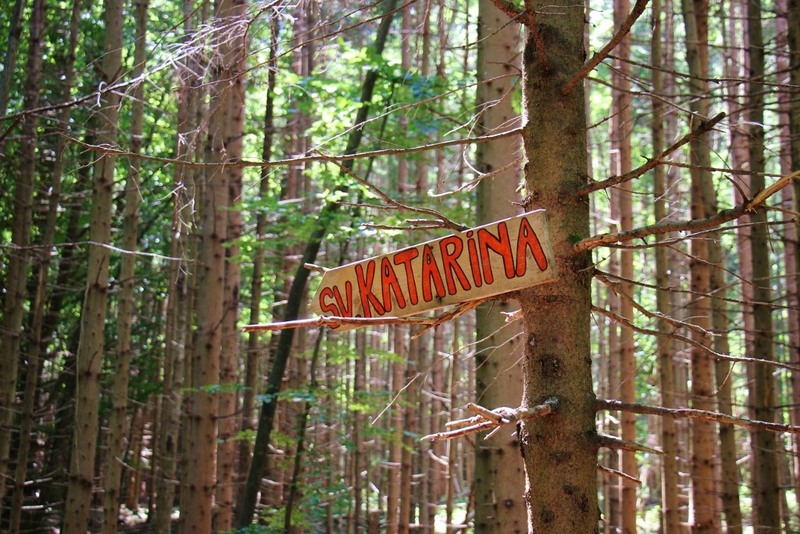 Katarina, the trail weaving through the tall trees to an open pasture and then back into the forest. We passed – and were passed by – others who were hiking the trail, but it was far less crowded than the path through Vintgar Gorge. After a 20-minute hike, we reached a restaurant and St. Catherine’s (St. Katarina) Church on the top of Hom Hill above the town of Zasip. 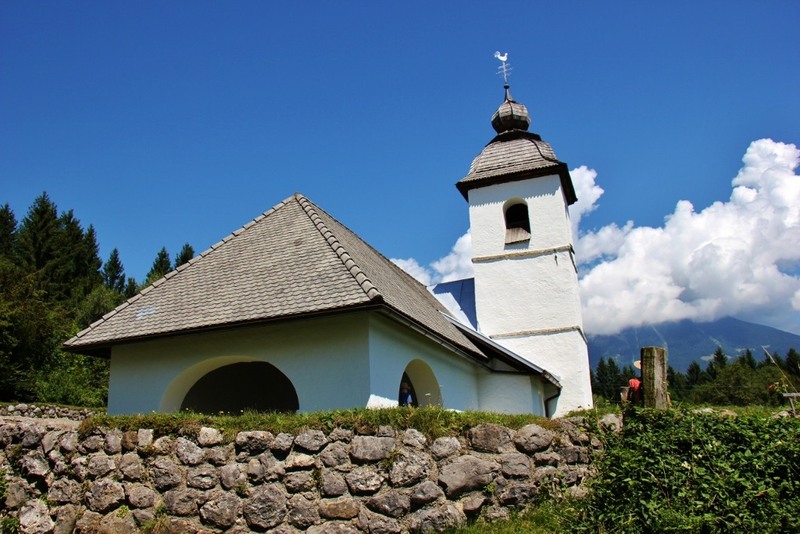 The small, stone church was built in the early 1400s as a pilgrimage church. The panoramic views extended across the rooftops and farm fields all the way to Bled Castle. We found the tranquility we were expecting when we started our day. Following the road past the church, we made the pleasant walk downhill to the small town of Zasip. It was quiet in the rural village. Houses with wooden shutters and flowers spilling from window sills clustered together along the road. We continued on to Lake Bled, where again the crowds were present, but less noticeable in the open space. Although our ‘nature hike’ through Vintgar Gorge wasn’t exactly what we had envisioned, it was worth seeing. Better timing – arriving earlier or later in the day – may have resulted in fewer crowds. Extending our hike from the end of Vintgar Gorge through Zasip back to Lake Bled was a highlight of the excursion and had we doubled back to the main entrance, we may have left feeling let down about the experience as a whole. Alpetour runs a bus from Bled Bus Station to Vintgar from late June to the end of August, but only in the morning (last bus from Vintgar Gorge is at 1pm). On their site, www.alpetour.si, search for the route from Bled to Vintgar. 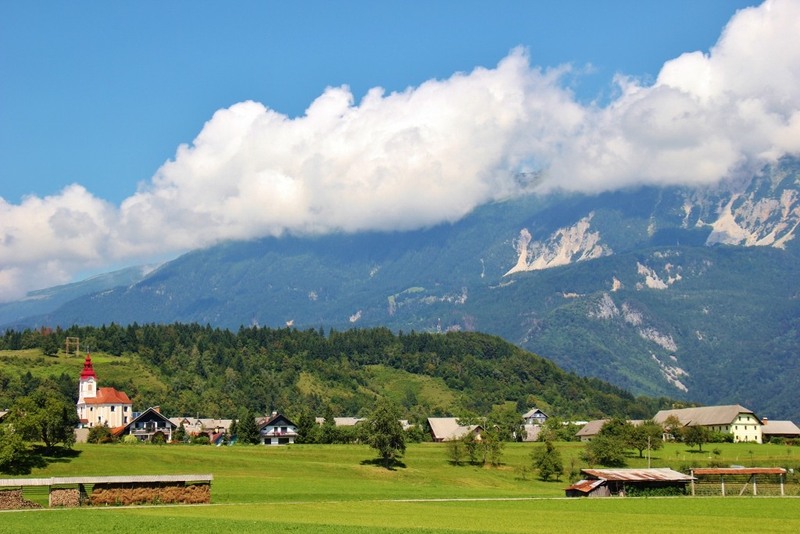 Looking for a place to stay near Vintgar Gorge? 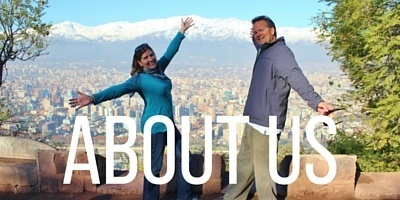 Search hotel deals with Booking.com! 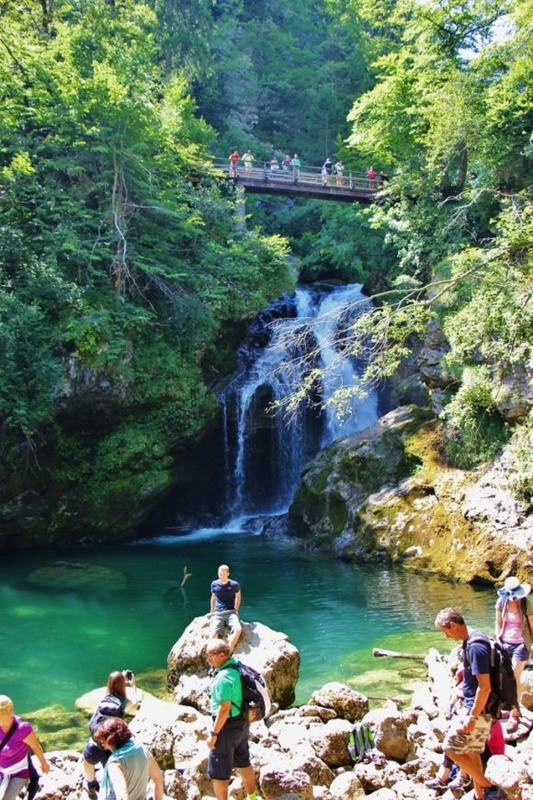 We want to know: Have you visited Vintgar Gorge? What were the crowds like when you were there? 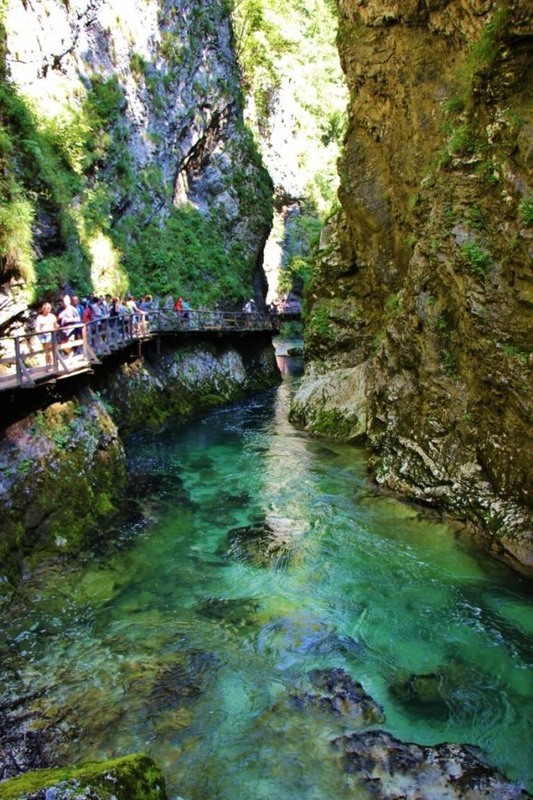 If you haven’t been, would you still visit Vintgar Gorge knowing there would be crowds? Argg. Doesn’t it seem ridiculous to be in nature and getting stuck in a line full of people like that? Crowds seem to have been the one constant in summer in Europe this year. Next year for sure we’ll be somewhere off the continent. Ha! Lucky for us, those have been the only crowds we have endured this summer…but Kranj, Slovenia might not be as popular as Lisbon – haha. Hmm… I would definitely try to get around the crowds but if it was the only option, hell yeah I’ll deal with them! Slovenia is really high on my list right now. I just went to the Kakum national park in Ghana (huge canopy walks- amazing!) and there were probably a hundred people trying to get through. My trick is to let everyone who wants to rush ahead get in front, and I mosey around in the back with the elderly people . They tend to have better stories anyways. I love the honesty in the post! Poor you. From those photos it looks like how I imagine #Plitvice in #Croatia, hence why I’ve not been there. Krka national park in May was a whole lot less rammed. I got a shuttle bus from the tourist office (next to the bus station) which returned an hour and a half / 2 hours later to collect me and head back to Bled. I got to Vintgar about 3 p.m. in late May and guess what – no queue at the ticket office, only a few cars and just one coach parked up! Thanks for the comment, Jon! Good tip about the shuttle bus from the tourist office. I think it was simply poor timing for our visit. Unfortunately, we were arriving to Bled via bus from Kranj on a short day trp, so we were pretty tight on time. Sounds like you had impeccable timing and were able to enjoy the gorge. During our walk, we talked about how crowded Plitvice must get. We were at Plitvice in early March when there were zero crowds and spent two entire days at the park. At times, there wansn’t another soul in sight – it was amazing.